Charlie Shrem, COO of Jaxx, stumbled onto the lower fees, he told Free Talk Live. I saw the headline in Coin Telegraph and couldn’t believe it: “Bitcoin Transaction Fees Significantly Decrease, Charlie Shrem Pays $0.25 Fee”. Even though I know and trust Charlie Shrem, I still thought this news was a fluke. As little as two years ago, Bitcoin’s median transaction fee was as low as $0.02 worth of bitcoin. That means half of all bitcoin transaction fees cost less than $0.02 and the other half cost over $0.02. With Bitcoin, there are fees to send, not receive. (This is the reverse of credit cards, where the merchant pays a fee to receive.) In the past, if one wanted, one could send bitcoin with no fee and it would go through, just without any priority. As you can see from this chart, the median transaction fee has shot up mostly in the last six months or so, and it has risen has high as $3.00 worth of bitcoin! That means that had I wanted, in the last few months, to go buy a $2.00 drink at Corner News with bitcoin here on Main Street in Keene, NH, it might cost me $3 just to send the $2, making it a $5 drink! No sane customer would pay a crazy fee like that. This dramatic rise in fees has destroyed bitcoin’s previous usefulness for microtransactions. No more bitcoin-operated snack machines, no more using bitcoin for small online tips, no more Watch-my-Bit micro-donation video streaming service. As someone who, as part of the Keene Bitcoin Network, has put a lot of effort into helping Keene be the the number one city for bitcoin-accepting businesses per capita in the world, the skyrocketing fees on bitcoin were quite disheartening. 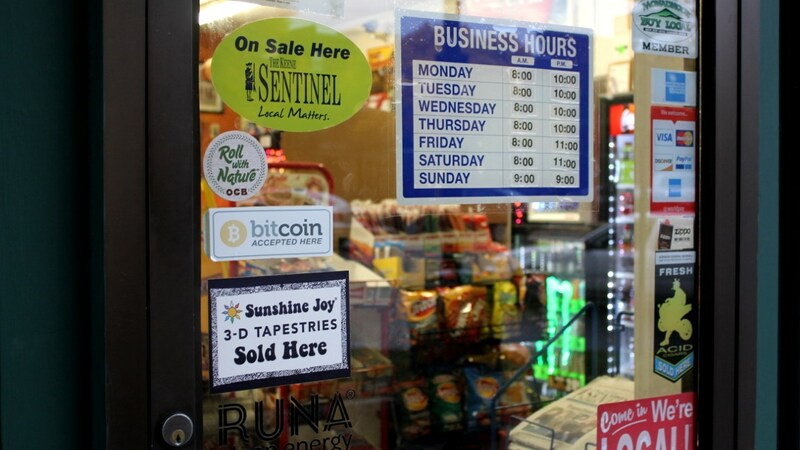 It wasn’t just me, many of the Keene Bitcoin Network had been desperately looking at the competitors to bitcoin like DASH and Ethereum as possible alternatives for the Keene-area businesses who had been early bitcoin adopters. It was getting harder and harder, due to the rising fees, to want to spend and promote bitcoin. Bitcoin is essentially broken for small dollar uses, meaning it’s far less useful as an actual currency, which is what it was intended to be. Sadly, there is a group of bitcoiners who want Bitcoin to be damaged in this way, and they somehow believe it will stay on top of the world’s hundreds of cryptocurrencies, though it’s been losing its market dominance over the last several months, as the competing cryptocurrencies have been rising to meet the consumer demand for a fast, low-fee crypto, like Bitcoin once was. Behind the scenes of bitcoin, things have been very ugly for a couple of years now. Like so many things in life involving groups of people, Bitcoin’s supporters are going through a schism. Unlike the schisms involving religion or politics, where people can just go their separate ways and do what they want, the Bitcoin schism involves people’s money – about 42 BILLION dollars worth, at the moment of this article’s writing. Combine that with the fact that almost everyone involved can hide behind their computer screen, and you can imagine how ugly this has gotten on the various forums, reddits, social media, and such. Technically, the schism revolves around how to solve the growing pains that Bitcoin has been experiencing. The reason the fees have shot up is because the Bitcoin network is full of transactions and people sending the transactions are bidding up the fee prices to ensure their transactions get priority. Bitcoin has become so popular worldwide that the “blocks” are full. The blocks are what create the “blockchain”, which is the decentralized, distributed, immutable ledger that is the guts of the Bitcoin network. The blocks are “mined” onto the blockchain by powerful computers doing very complex math. As I understand it, and I’m not a Bitcoin programmer, when the blocks are full, all the lower-fee transactions that didn’t make it into a block go into the “mempool”, where they have been piling up in large quantity. That means that not only have Bitcoin’s fees been super-high, but also that transactions with lower-than-the-median fees can get stuck, sometimes for DAYS. Bitcoin, despite its amazingly high price (over $2,500 at this moment), is pretty busted compared to how it was. That brings us to this recent surprising development. As the Coin Telegraph article about Charlie Shrem sending his recent transaction with a surprisingly low $0.25 fee explains, the mempool has recently become less-clogged, dramatically so. This handy chart from Blockchain.info puts it in perspective. The Coin Telegraph article, which was published several days ago now, screwed up the numbers – they said the mempool had dropped from a high of 120 GB to around 20 GB. According to the chart, it’s MB, not GB, but otherwise, they are correct! The mempool has indeed dropped to below 20 MB, which means transactions are finally able to get through in a faster amount of time for lower fees! In fact, yesterday at one point the mempool was nearly down to 2 MB! Later that night, when re-stocking the Manchester Bitcoin Vending Machine, I sent some similarly low-fee transactions as what Darryl and I had sent earlier, but these took about two hours to get their first confirmation. So, I tried one for approx $0.28 worth of bitcoin and it confirmed in 12 minutes. While $0.28 isn’t as good as $0.02, it’s a major improvement on $2.80 fees. To be clear, we’re not out of the woods yet. Bitcoin is still backlogged, but there are some supposed fixes coming to Bitcoin in the next few months that should reduce the fees even further. There are two very important questions, first, which bitcoin wallet software is working properly and recommending the new, lower fees and which ones are still recommending the higher fees? According to our testing, Airbitz and Blockchain.info’s wallets are working correctly, recommending saner fees, while Mycelium and Jaxx are still making very high fee recommendations. We had Jaxx’s Chief Operating Officer, the very same Charlie Shrem, on my talk radio show, “Free Talk Live” on Sunday night to talk about the new, lower-fees and if Jaxx will be updating their wallet to reflect it. Since we did not do an exhaustive check of the wallet software available, please feel free to post the normal recommended fee levels from your wallet(s) in the comments. Today’s recommended fees are higher than Sunday’s. As I am writing this on Independence Day afternoon, Airbitz recommended a $0.47 fee to send, then it recommended $0.70 for a subsequent transaction. Perhaps this respite from insane fees will be short lived, but for now $0.47-$0.70 still feels a lot better than $2.50. The fact is, due to the mempool decrease that happened over the last month, bitcoin is now cheaper and faster than in recent months. However, the second important question is why did the mempool decrease as much as it has, when it did? This question leads into conspiracy territory, because there’s probably no way to really know why the mempool dropped by over 100 MB in approximately one month’s time. However, it’s very interesting that the beginning of the drop coincided with the “New York Agreement” (Segwit2x). At the end of May, people representing some major bitcoin companies and 83% of the mining power in the Bitcoin world came together at a conference and after years of debate finally hammered out an agreement to implement both of the competing proposals to fix Bitcoin’s network capacity issues. It was shortly after this agreement that the mempool size began to fall. Why? Some have suggested that the Bitcoin network was being spammed with junk transactions and that whoever was spamming it, ceased after the agreement was put in place. That’s obviously speculation, but if it’s true, then who was doing the spamming? Was it the people supporting small blocks? The people supporting large blocks? Both of them? 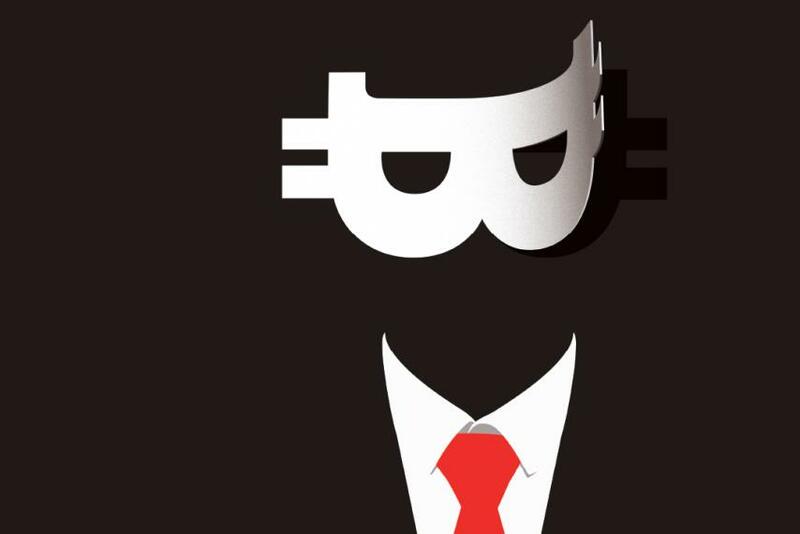 Heck, was it Satoshi Nakamoto, the anonymous and disappeared-for-years creator of Bitcoin? Who knows, but I hope whoever it was doesn’t start it up again. Whoever it was, was willing to spend a good amount of money doing it, as it has gone on for weeks, if that’s indeed what happened. Others have said that it wasn’t the cessation of spamming, but that it was just the market choosing to use other cryptocurrency. On its face, this seems like the more reasonable explanation, given the high fees would drive away all the small dollar transactions from Bitcoin and into the arms of the eager, low-fee competitors like DASH. 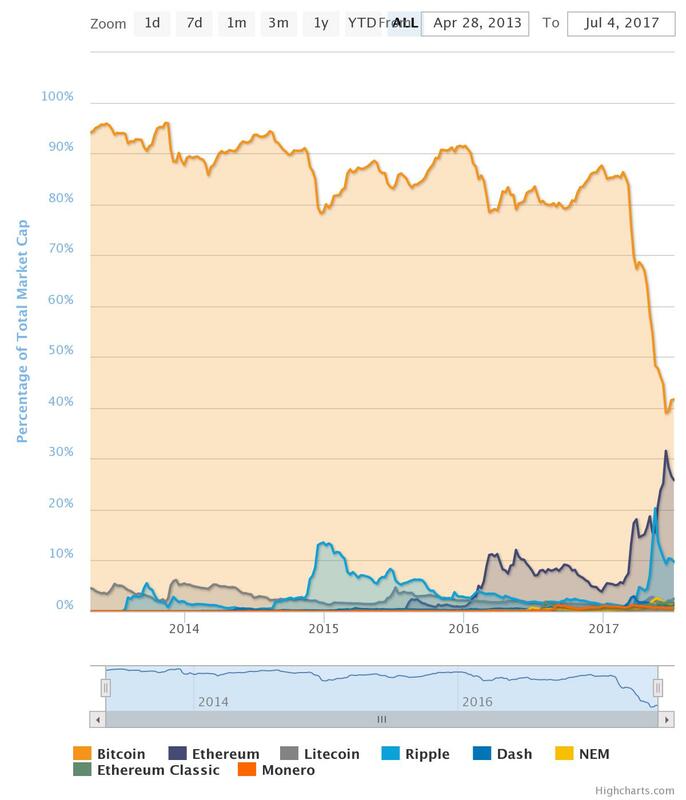 Indeed, when looking at a chart of confirmed bitcoin transactions per day, there is a decline over the last month, though not as drastic as the decline on the mempool chart. I’m not a Bitcoin engineer or statistician, so I’m sure there are various interpretations and other charts to look at. However, if the explanation is that people all of a sudden started dropping off of spending bitcoin, then why did that drop happen so consistently over the last month, but not prior, when fees were equally as bad for quite a while? Why did the drop coincide with the New York Agreement? Obviously, correlation is not causation, but the coincidence is remarkable. Whatever the reason for the decline in the mempool, the fees are down, and that’s a fact. Another amazing thing is that hardly anyone is talking about it. Though Coin Telegraph did run their piece on June 30th, since then there has been no explosion of news across the cryptocurrency industry. To me, this is one of the most important bitcoin stories of the year-so-far. Please share the good news! The next question is what will happen in the Segwit2x/UASF controversy set to possibly boil over on August 1st? That’s a subject for a separate, somewhat more technical article. A quick google will reveal a large variety of opinions on the subject. If you’re a libertarian and lover of cryptocurrency, you really ought to move to New Hampshire as part of the NH Freedom Migration – the Bitcoin capitol of the world! If you want to connect with other cryptocurrency users already here in NH, please check out the Shire Bitcoin Forums. P.S. In case you were wondering why I used different capitalization for Bitcoin, it’s because as I understand it, “Bitcoin” refers to the Bitcoin network as a whole concept, while “bitcoin” is the currency aspect of it. Thanks for reading and sharing this article! P.P.S. I’m posting this article first on Steemit. If you think this is much-needed good news for Bitcoin, as I do, please upvote it there (accounts are free), and share on social media. Interesting. I am more than willing to bet transaction fees will sky rocket. The US government still has the final say about bitcoin. You can’t do anything with bitcoin with you don’t have a computer with a viable hook up to the internet. It is funny watching you people fall all over yourselves for pipe dreams. No Jacks, it’s consumers that have the final say on this matter. When governments ban products or services that consumers want, consumers simply turn to black markets to have their needs met. It’s really extraordinary to me that a grown man like yourself still hasn’t figured out how these things work. Oh, and by the way, Jacks, more and more people are accessing the internet with their smartphones these days instead of using desktops. Like cryptocurrencies, they’re the wave of the future. @JumpingJacks Actually, the Chinese communist government has the final say. The three biggest Chinese mining consortium determine a lot of what happens with BTC. They are in control and can determine the transaction processing fees. Concerned Citizen. You are not far off. Of course, every time the internet goes down you can’t access you’re bitcoin account. Smart phones need blue tooth to work and if you are out camping or in Africa chances of accessing the internet with no cell tower around will hinder your access to the net. Transaction fees are as volatile as bitcoin. Unpredictable and uncontrollable. Now that David “Jurist” was busted I wonder who will man the three bitcoin machines he thinks are changing New Hampshire. So your argument is that bitcoins should be considered undesirable as a currency because a wallet can’t be accessed by Africans or by campers in the woods? Goodness gracious Jacks, that’s not the best you can do here now is it? ok… just thoughta this..one ..satoshi.. is a number..a number you own… then maybe one BC has a buncha satoshis…question IS ..where are they…how do you own them? Are the really in your wallet? i know wallets are downloaded things which means THEY ARE on your computer.. but i dont thing BC is on your computer like that..
Doesnt this expose a big problem that the government or a powerful figure could jam the network with spam transactions long term and make it unworkable?